Manage Users – Welcome to the NextMinute support and feedback centre. There is no limit to the number of users you can have in any role, including the Administrator role. How you structure your user roles will be based on how you operate your business and the activity you want your team to undertake in the capacity of their role. 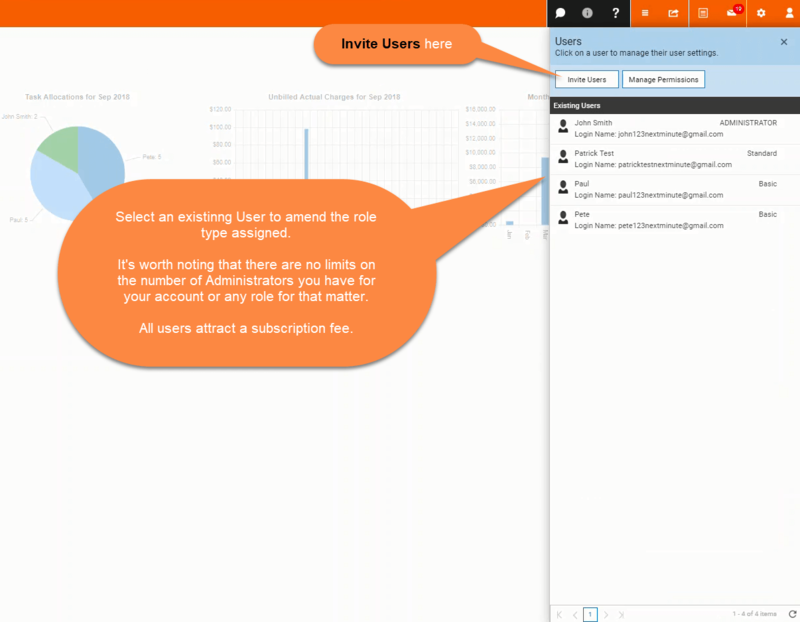 Here we show you quickly how to access users and manage user roles within your subscription. 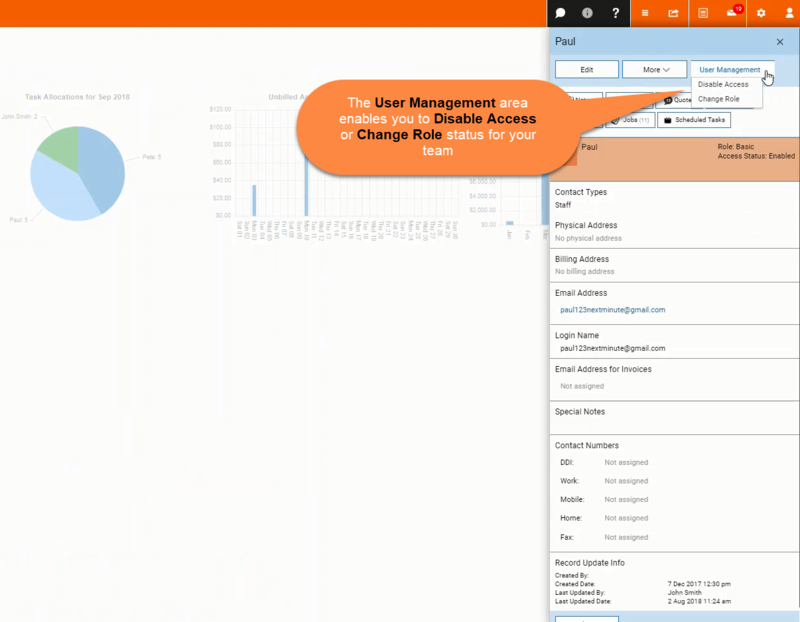 You can edit user information and update user access and role via User Management. You have the ability to disable access and change a role. Via the change role tab you can choose to assign and re-assign roles. 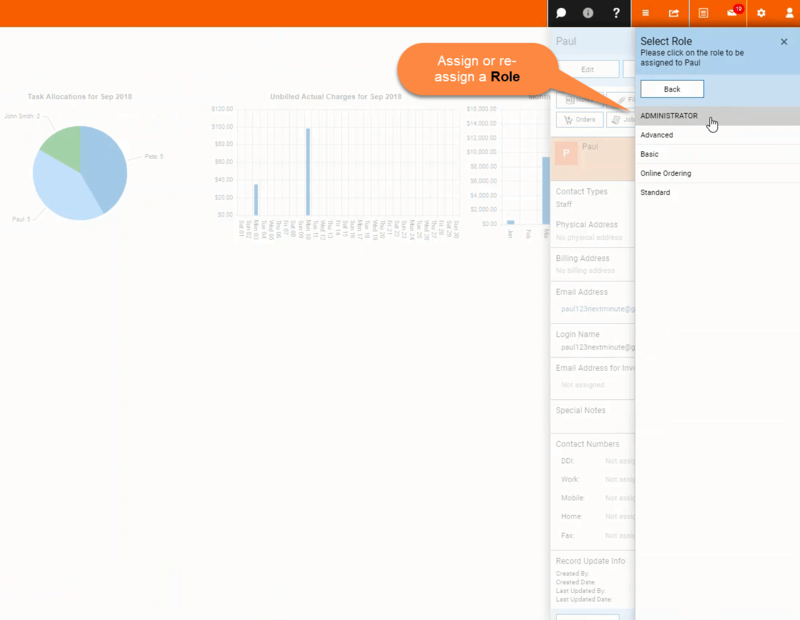 For example you can change a user from Staff to Administrator. Once you've selected the new role type this will be immediately updated for the team member. User Roles also have associated permissions. By updating a role, you will also update the correlating permission rights for that role. Note: See the article about setting user permissions. A user will no longer be able to login to your subscription once disabled.